Sofia's fever is still on. Sorry, no more Frozen now. Welcome Sofia the First. 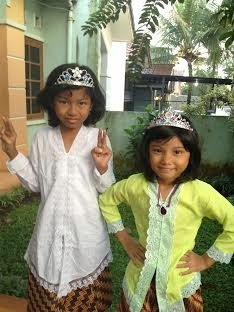 Zea declares herself as Princess Sofia and appoints Najla as Princess Amber, Sofia's step sister. As the princess, they must have tiara. Yep, they're very much consistent. 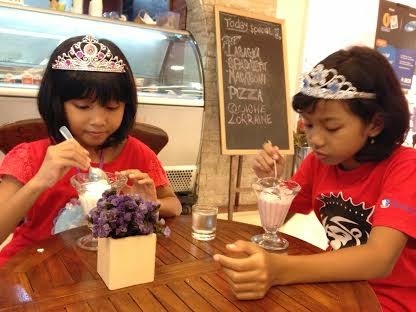 Tiara is on their heads since they wake up in the morning until they go to bed (once I asked them, "Don't you feel headache kakak, having that tiara on your head for the whole day?" 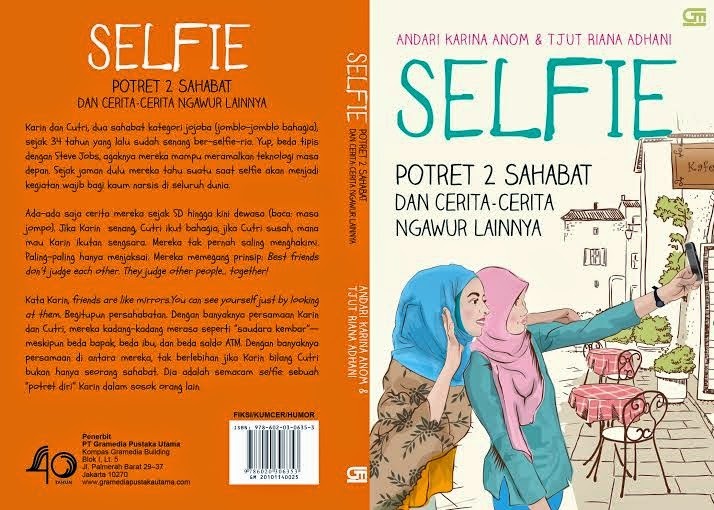 (#yes, I am a kepo mama) and she said in a calm tone, "Well...sometimes yes, but we can live with that." Ouch..it's so hard to be a princess. Yes, no pain, no gain. Btw up until now I have purchased four tiaras for them. 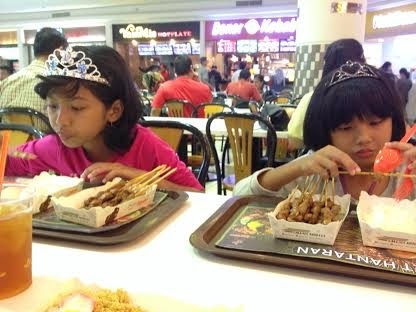 The previous two tiaras were broken (Zea accidentally sat on them) and at that moment I directly got an urgent instruction from her to buy a new tiara on my way home after teaching. Okay little boss, your wish is my command.